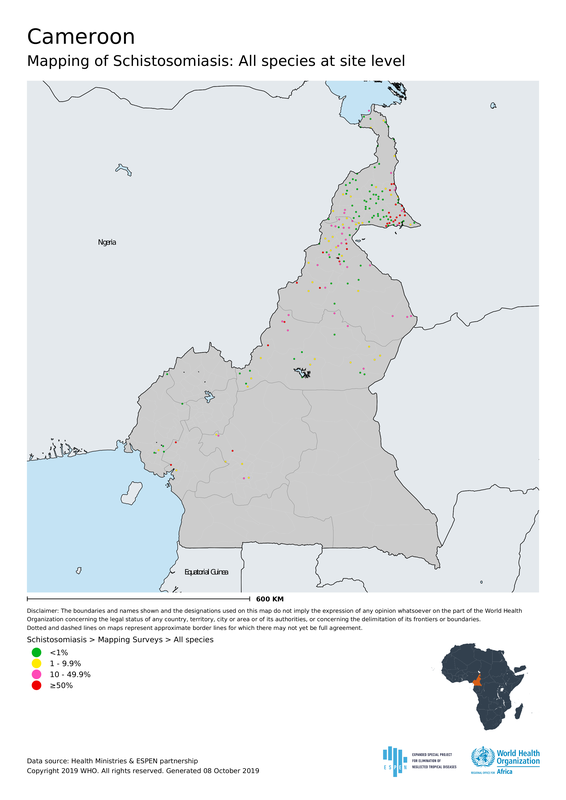 Cameroon, a country on the west coast of central Africa, is endemic for LF, onchocerciasis, schistosomiasis and STH. Loiasis is also prevalent. It has made good progress towards elimination of LF, with many districts having successfully implemented MDA and moved into the surveillance phase.